Chippenham Business Improvement District, organiser of the Chippenham Business Awards has announced its 2019 finalists. The awards now in their third year are the largest business to business event in the town, supported by headline sponsor Awdry Bailey & Douglas Solicitors. 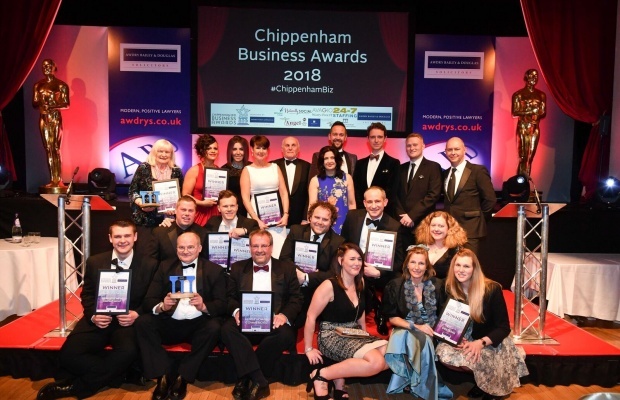 The award scheme was created to champion companies of all shapes and sizes from start-ups to global organisations and raise the profile of the Chippenham as a thriving place to live and work. The finalists are as follows – Click on the embedded links below to visit the finalists’ websites. The winner of this award will be announced during the awards ceremony. The winner of this awards is a “winners winner” – an entrant whose entry stood out to the judges as an excellent example of business in the Chippenham area. Pictured above: Last year’s Chippenham Business Award winners.